With this product you can accumulate up to 21 Glitter Points. Attenuates pigmentary and vascular blemishes. 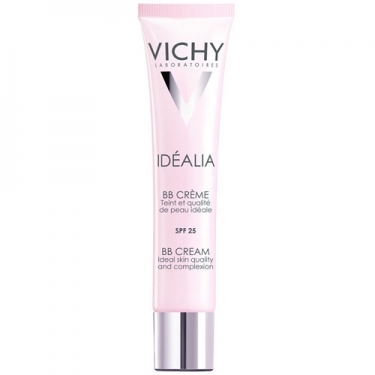 DESCRIPTION: Idéalia BB Crème from Vichy is a BB Cream indicated for all women, regardless of age, type and skin tone. In one gesture, six actions: moisturizes, softens wrinkles, smoothes skin texture and light, reduces vascular and pigmented spots and protects from UV rays. Enriched with Vichy Thermal Spa Water, known for soothing and regenerating properties. The texture is light and comfortable without greasy effect. Tested under dermatological control. Hypoallergenic and paraben free. Apply to clean, dry face. In case you have very dry skin, you may need to apply a moisturizer before the BB Cream.